The Supreme Court of the United States is set to hear the case for the Bladensburg War Memorial Cross, known locally as the Peace Cross. The cross, erected nearly one hundred years ago, stands 40 feet tall, and honors 49 U.S. soldiers who gave their lives for their country in the First World War. This decision will determine if this cross will remain on public property. If this cross is mercilessly torn down, other crosses throughout the country will likely follow an identical fate. We need to let our voice be heard. 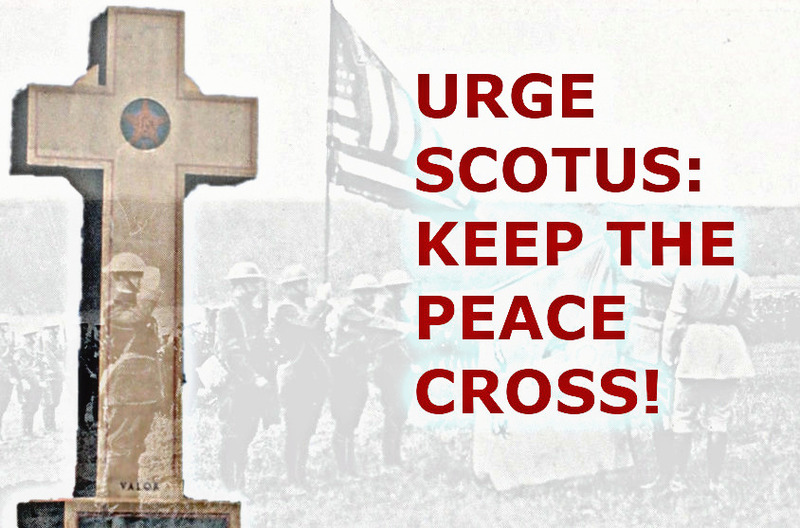 Please sign our petition to the Public Information Office, urging the Supreme Court not to disrespect our veterans by tearing down the Bladensburg Peace Cross. To: Public Information Office of The United States Supreme Court, I urge you to allow the Bladensburg Peace Cross, in Maryland, to remain standing where it is. This monument honors veterans of the United States military that selflessly gave their lives to defend their country. It is a reminder of their sacrifice. Your decision will affect the fate of similar monuments to our fallen heroes. Please do not disrespect our veterans. Keep the peace: keep the Peace Cross!